President George Washington, on October 3, 1789, issued a proclamation naming Thursday, November 26, 1789 as an official holiday of "sincere and humble thanks." 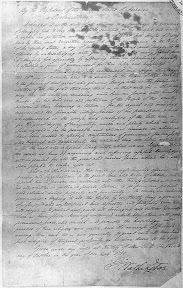 The nation then celebrated its first Thanksgiving under its new Constitution. Click here to link to an OETA Oklahoma News Report story on the challenges facing many children in our state. Oklahoma math and reading scores in the 2013 National Assessment of Educational Progress (NAEP) are a mixed bag. While the fourth-grade math scores are the highest in 10 years — and 19 points up from 1992 — state education officials note that other results point to the need for stronger academic rigor that is beginning to take shape. NAEP is designed to measure what students across the nation know and can do in 10 subject areas, including mathematics, reading, writing, and science. The results of these tests are reported in the Nation's Report Card. The NAEP results were released last week. 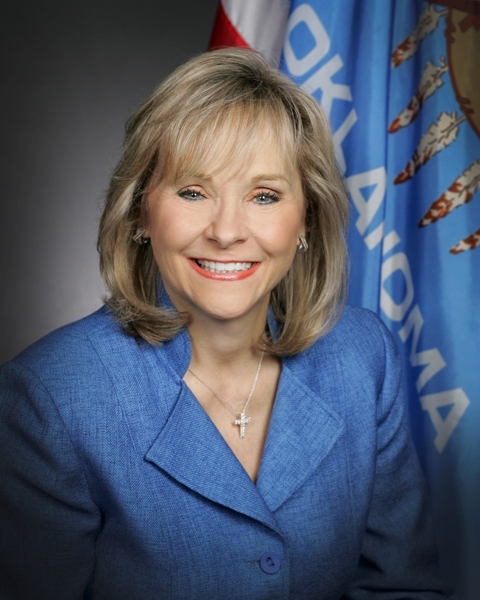 Governor Mary Fallin commented on the release last week of Oklahoma’s 2013 NAEP scores. Oklahoma fourth-graders taking the national assessment earned an average score of 239, up from 229 in 2003 and 220 in 1992. That still placed the state behind this year’s national average of 241. Eighth-grade math scores also were higher than they were a decade ago — 276 in 2013 as opposed to 272 in 2003. That’s an improvement over the 262 average score earned in 1992, but lower than the 279 earned two years ago and lower than this year’s national average of 284. In reading, Oklahoma fourth-graders posted an average of 217, up from 214 in 2003 and 215 in 2011. Despite the jump, it remains below the national average of 221 and below the state average score of 220 earned in 1992. From 1992 to 2002, fourth-grade reading scores plummeted to 213 but have been on an upward trend since the mid-2000s. Oklahoma’s eighth-grade reading score average was 262, better than 260 in 2011 but unchanged from 2003 and down from 265 in 1992. The national average for eighth-grade reading this year is 266. Oklahoma’s reading scores in this grade have been climbing since a low of 259 in 2009. 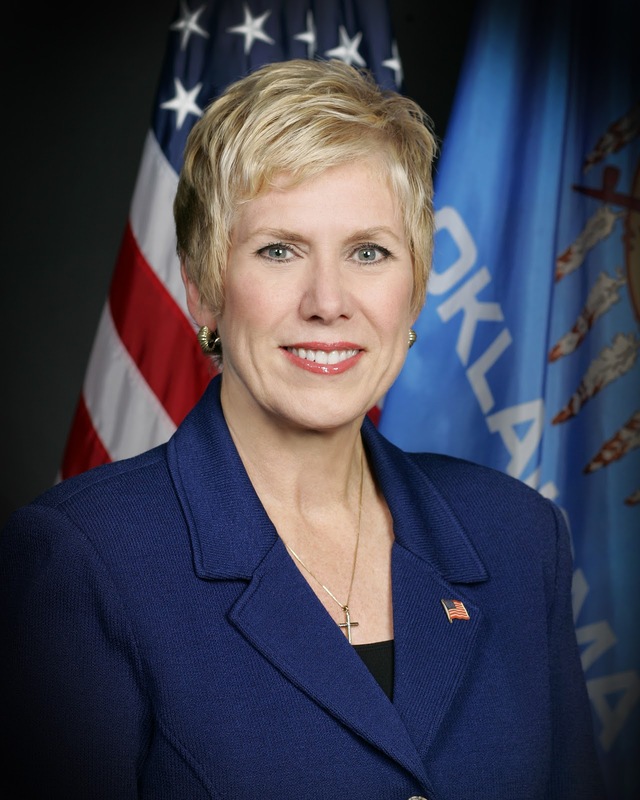 State Superintendent Janet Barresi commented on the release of Oklahoma’s 2013 NAEP scores. Barresi said reforms such as the end to social promotion for third-graders reading significantly below grade level, Teacher and Leader Effectiveness and the implementation of rigorous Oklahoma Academic Standards will have a significant and positive impact. “Oklahoma students can be at the top of math and reading scores, but it will take all of us engaging and working together to prepare them for college, career and citizenship,” she said. Fallin also highlighted the importance of recent education reforms as part of the plan to improve student achievement. “Moving forward, we must work together to improve our schools,” Fallin said. “That improvement will require increased rigor in the classroom and a greater focus on literacy, which the implementation of the Reading Sufficiency Act will provide. Greater success will demand the kind of accountability and benchmarks of progress represented by the A-F grading system. And it will rely on a sense of cooperation and shared responsibility between lawmakers, educators, parents and students. Barresi said the NAEP results indicate that additional focus is needed on middle school. She said she will gather a task force to examine math scores from sixth grade and higher. “This will help us knock down college and workforce training remediation rates,” Barresi said. The NAEP scores also show the wisdom of increasing the rigor of Oklahoma Academic Standards and the Oklahoma College and Career Ready Assessments, both of which will be implemented in schools by the start of the 2014-2015 school year. NAEP reveals that the percentage of Oklahoma students scoring at or above proficiency is 36 percent in fourth-grade math and 25 percent in eighth-grade math. The national percentage at or above math proficiency is 41 percent for fourth grade and 34 percent for eighth grade. In reading, the percentage of Oklahoma students scoring at or above proficient is 30 percent in fourth grade and 29 percent in eighth-grade. The national percentage at or above proficiency is 34 percent for both fourth and eighth grade. below 42 states, not significantly different from five states and above four states in eighth-grade math. In comparison to regional states, only New Mexico had a lower average score than Oklahoma on all assessments. Texas, Arkansas and Kansas had higher average scores in each assessment in both fourth- and eighth-grades. In 2011, Oklahoma was the only state in the U.S. to show a low inclusion rate for special education students and English Language Learners. In fourth-grade math, for example, only 49 percent of Oklahoma special education students had been tested as compared to 84 percent nationally. In the wake of that revelation, Barresi implored districts to look closely at testing children with special needs to assure each child’s needs were being met.Oklahoma increased its inclusion rate this year more than any other state in the nation: 98 percent in fourth-grade reading, 99 percent in eighth-grade reading and 98 percent in fourth- and eighth-grade math. All are well above NAEP parameters. Federal law requires that states and districts receiving Title I funding participate in the NAEP reading and mathematics assessments every two years. A sample of students representing the entire student population —about 3,000 students per grade and per subject — are tested. State scores are reported for students in grades four and eight. Scores for students in grade 12 are reported only as part of the national picture. Samples for long-term trend are based on age (9, 13 and 17) rather than grade. Other NAEP testing is optional and can be used for comparing our state to regions with similar demographics, others states and the nation. OKLAHOMA CITY – The Oklahoma State Department of Education today released the A-F Report Card for Oklahoma public school districts and schools. 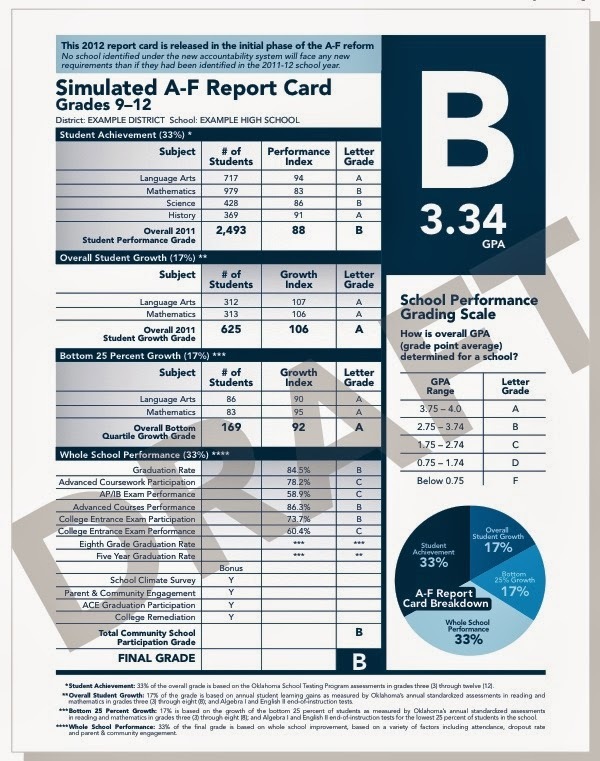 Available online at http://afreportcards.ok.gov, the annual grades were approved at a special meeting of the State Board of Education. The grading system is part of a larger, comprehensive effort to heighten accountability and transparency for Oklahoma schools, providing parents and communities with readily understood information about how their local schools are doing. In the second year of SDE issuing the report cards, 354 schools, or 20 percent, received an overall A, compared to 160 in 2012. There were 499 schools that earned an overall B – 28 percent of all schools – while 472 (26 percent) received C’s. That compares to last year’s total of 842 B’s and 594 C’s. There was also a significant rise in D’s and F’s, with 263 schools getting the former and 163 schools receiving F’s, a combined 24 percent of schools statewide. 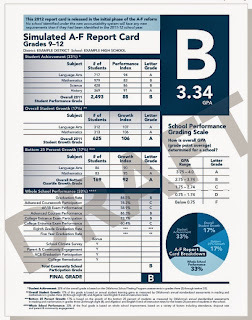 In 2012, the report cards recorded 138 D’s and 10 F’s. State Superintendent of Public Instruction Janet Barresi said this year’s grade results were expected in light of increasing academic rigor and changes made to the grade calculation. The results, she said, reflect what is occurring in other states as schools shift to stronger standards and the resulting instructional changes. 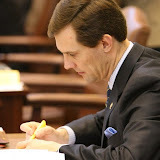 The grading formula underwent changes as the result of House Bill 1658. Signed into law earlier this year, it addressed a number of concerns that had been raised by district administrators. Several factors utilized in last year’s calculations — such as Advanced Placement classes, dropout rates and the like — are now considered in bonus points that schools can accrue. The revised formula also raised the percentage factored in for student performance and student growth. Release of the report card had been scheduled for Oct. 29, but Barresi ordered a delay after several issues surfaced during a 10-day review period. There were initial glitches in grade calculation due to OSDE. Afterward, grades fluctuated as the department fielded more than 1,100 updates from data verification changes. “Through it all, we kept the grades online for districts to see, believing full transparency was the best course. The department worked to give districts as much time as possible to update the testing files so that the data we used in the report cards could be accurate, said Barresi. Used by a growing number of states, A-F school grades are aimed at raising education standards by making school performance clear. In past years, Oklahoma education officials had offered similar data through the Academic Performance Index (API), which evaluated schools through a 0 to 1500 scale. But many parents do not know API scores exist, much less how to interpret them. By contrast, the A-F Report Cards use a time-tested grading system that has long served the needs of educators and students. Barresi acknowledged that the A-F grades have met resistance from some administrators with a stake in defending the status quo. Governor Mary Fallin released the following statement regarding the Oklahoma State Department of Education’s release of A-F grades for public schools. "Delivering high quality public education is one of the most important things we can do in Oklahoma to increase prosperity in our state. Good schools teach children the skills they need to succeed when they enter the workforce or pursue post-secondary education. They also help to produce the highly skilled workforce that we need to retain and attract businesses and jobs to Oklahoma. "We have many great teachers and schools that are helping to produce positive outcomes and improve student performance. Those teachers and schools deserve recognition. Unfortunately, we know we are also falling short in many areas. Historically below average NAEP scores in reading, writing and math; as well as college remediation rates higher than 40% indicate that in many instances we are failing to prepare our students for life beyond high school. "These are problems that need to be addressed—cooperatively and with a shared sense of urgency—by lawmakers, administrators, teachers and parents. But before we can improve education, we need a system that accurately measures success and failure. "The A-F grades delivered today provide that system. They give parents an accurate, easily understood method of measuring the quality of education their children are receiving. They also give teachers and administrators a benchmark to measure progress. "The grades issued today, as expected, paint a mixed picture. The majority of our schools are performing adequately. Many are operating at a very high level, thanks largely to dedicated and skilled teachers. "Some schools, however, are clearly in need of immediate improvement. The superintendents and teachers of schools receiving a D or an F must remember: a bad grade is not a punishment; it is a call to action. Parents should also understand that we are absolutely committed to helping these schools succeed. "Oklahoma has great teachers. We have a supportive community of parents who want to play an active role in their child's education. And we have state resources committed to delivering assistance as we work to move these schools in the right direction. "Working together, we will succeed in better preparing our kids for college and the workforce. 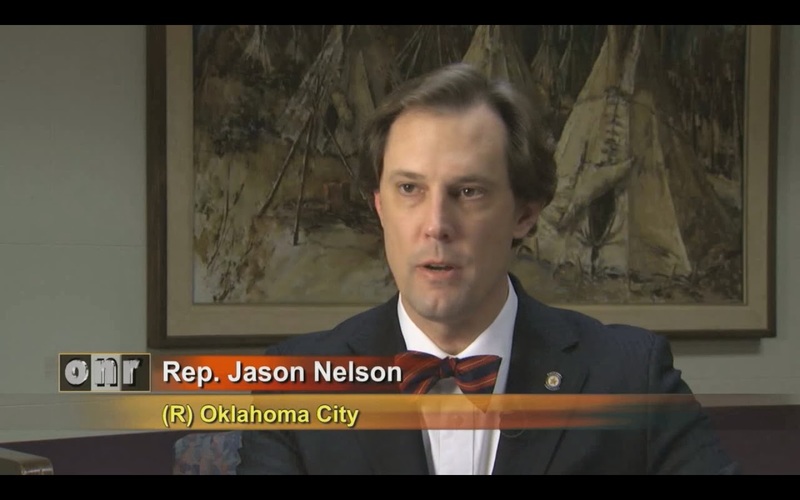 Nothing is more important for our children or for Oklahoma's sustained prosperity." Oklahoma’s secretary of education and workforce, Dr. Robert Sommers, today issued the following statement regarding the release of the State Department of Education’s A-F grades for Oklahoma Public Schools. In addition to serving on Governor Mary Fallin’s cabinet, Sommers also serves as the director of the Oklahoma Department of Career and Technology Education. Previously, he served as the superintendent of Butler Technology and Career Development Schools in Ohio. “As a superintendent, I championed the use of data to reform my school district. In 2001, the data showed my district was doing poorly. We were ranked 42nd out of 49 Ohio tech centers. “In response to that ranking, which revealed that our students were underperforming, our staff and student body committed ourselves to improvement. After a lot of hard work, we were eventually ranked first in student performance for three years in a row. “We didn't see the data as a negative. We saw it as an opportunity to measure success. Most importantly, we saw it as a motivator for change and improvement. WHERE: Room 1-20 of the Oliver Hodge Education Building, 2500 North Lincoln Blvd., Oklahoma City. Call to order and roll call – 1:00 p.m. The State Board of Education shall hear public comment on any Action item listed on the current Board of Education meeting agenda. Public comments will be limited to only those subject matters covered in the current meeting agenda. Public comment will not be taken on issues relating to: (1) pending litigation against OSDE, OSBE, or agency employees; (2) a pending grievance; (3) an employee complaint; (4) complaints against OSDE employees; or (5) disciplinary action, suspension or termination of an OSDE employee. A sign-up sheet will be posted at least fifteen (15) minutes prior to the scheduled start time of the Board Meeting. Sign up must be completed prior to the scheduled start time of the meeting. The individual signing in must select one of the two public comment periods on the agenda to participate in. Only individuals who have signed up to speak will be recognized during the Public Comment period and will be recognized in the order in which they have signed in. Each speaker will be allocated three (3) minutes for presentation. The Board Chairperson may interrupt and/or terminate any presentation during public comment, which does not conform to the procedures outlined under this Section. The Board Chairperson reserves and retains the right to interrupt, terminate, or postpone public comment as necessary to effectuate the management of the public meeting. The State Board of Education shall hear public comment on any item listed on the current Board of Education meeting agenda. Public comments will be limited to only those subject matters covered in the current meeting agenda. Public comment will not be taken on issues relating to: (1) pending litigation against OSDE, OSBE, or agency employees; (2) a pending grievance; (3) an employee complaint; (4) complaints against OSDE employees; or (5) disciplinary action, suspension or termination of an OSDE employee. A sign-up sheet will be posted at least fifteen (15) minutes prior to the scheduled start time of the Board Meeting. Sign up must be completed prior to the scheduled start time of the meeting. The individual signing in must select one of the two public comment periods on the agenda to participate in. Only individuals who have signed up to speak will be recognized during the Public Comment period and will be recognized in the order in which they have signed in. Each speaker will be allocated three (3) minutes for presentation. The Board Chairperson may interrupt and/or terminate any presentation during public comment, which does not conform to the procedures outlined under this Section. The Board Chairperson reserves and retains the right to interrupt, terminate, or postpone public comment as necessary to effectuate the management of the public meeting. Weintz said the governor is "dismayed" to see groups representing the education community touting a report issued by researchers at University of Oklahoma and Oklahoma State University as a way to wage a campaign against A-F.
Weintz cited a portion of the report that he said indicates the authors believe that schools are only responsible for 20 to 30 percent of student achievement. In that portion, the authors question whether school performance should be based solely on student standardized test results. Weintz said Fallin believes test scores are an adequate way to measure student performance and she does not support the findings in the report. "The governor believes that increased resources — if allocated appropriately — can help improve the quality of schools and improve student performance," he said. "She is an advocate, if we have extra funds, of trying to funnel those into education. "It is crippling her ability to make that case to the public and to other lawmakers if the education community itself is touting a report which in essence says schools can have very little effect on student performance." Some have misconstrued Weintz’s comments as a "threat" to educators to halt criticism of the A-F grading system. Fallin's Communications Director, Alex Weintz, responded today, arguing that nothing could be further from the truth. 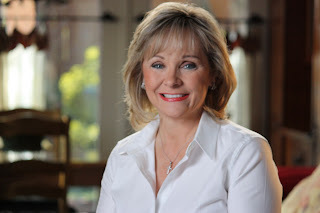 "Governor Fallin, school superintendents and teachers are all on the same side: the side that argues that public education is important, that it can make a difference in the lives of our children, and that additional funding can improve our schools," Weintz said. "That's why she signed a budget this year that appropriates $90 million of new money for K-12 education. "In other words, the report argues schools can't substantially effect student performance or test scores," said Weintz. "Rather, 'non-school' factors like poverty control student outcomes. "The governor finds this conclusion to be alarming for a number of reasons. It sends a message to teachers that what they do doesn't matter. It sends the same message to parents and students: schools can't help you if you are poor or face other challenging circumstances. And it broadcasts to the general public that K-12 education is not worth investing in if it cannot make significant improvements to student performance. "Governor Fallin rejects that argument. She believes that all children have the ability to learn given the opportunity. Great schools and teachers can successfully boost student performance and help even our least-advantaged children improve. Oklahoma has many examples of schools and students that perform extremely well despite challenging circumstances. 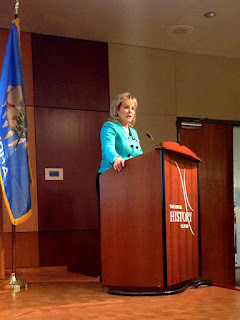 "Governor Fallin has not and will not threaten funding for schools based on opposition to the A-F grading system. She is asking that groups representing superintendents reconsider their endorsement of a report that argues that education cannot make a significant impact in student performance. That argument undermines the advocates of public education who believe it is worth investing in and improving, including our teachers and superintendents. "Governor Fallin continues to ask educators, lawmakers and parents to work together to make sure the A-F grading system succeeds as a tool to improve education and help our kids." Oklahoma has great teachers and great schools. No one deserves more respect or thanks than our teachers, who are doing difficult and important jobs for modest salaries. Many teachers make a profound difference in the lives of their students, instilling them with academic passions that lead to successful careers and fulfilling lives. These successes should be applauded and celebrated. But just as we should not ignore our many successes, nor should we turn a blind eye to our system's shortcomings. Those shortcomings are real: data from the National Assessment of Educational Progress, for instance, shows that 73 percent of Oklahoma fourth graders are below proficient in reading and 66 percent are below proficient in Math. Furthermore, when our high school graduates reach college, they are often doing so without the skill-sets needed to succeed in college courses. More than two in every five Oklahoma college students must take remedial courses, adding time and expense to their education, and making it more likely they will dropout without acquiring a degree. These are problems that can only be addressed by improving K-12 education. Shedding light on school performance - lifting up the hood and seeing what is working and what is not - is absolutely essential to achieving that improvement. We cannot boost student performance if we do not first have a method of identifying schools that are exceeding expectations and those that are falling behind. The A-F public school grading system delivers that tool of measurement. It gives parents, administrators and teachers an easily understood way of evaluating school success. The letter grades assigned to schools are based on student performance. Fifty percent of the grade is based on the average score students receive on standardized tests in subjects like English and Math. The other half of the grade is based on student improvement on these tests – meaning a school with relatively low scores can still receive a decent grade if student performance is moving in the right direction. The roll-out of this new system has been difficult. There have been glitches and setbacks. But the system as it stands today is simple to understand and fair. There should be little doubt in anyone’s mind that a school scored as an “A” is outstanding; an “F” school is failing and in need of immediate help. This is an accountability and transparency measure the education community can and should support. As a state, we should recognize and reward success. We should also find and correct problem spots. Identifying problem areas is not about blaming teachers. No one has ever argued that a school with an “F” or a “D” is plagued by bad teachers. A grade of "F" is not a punishment; it is a call to action. Schools that receive poor grades need help, attention and a change in strategy so that they can get back on track. This week, the State Department of Education will release the final letter grades assigned for all Oklahoma schools. As these results come in, there will be some educators and school districts that are justifiably thrilled with a recognition of their success. To them, I offer my congratulations. There will also be educators that are disappointed, even angry, at a grade which they feel is too low. Here is my message to these individuals: Work with me, with each other, with parents and with students to improve our schools. The A-F grading system is not going away. It was authored and passed by democratically elected legislators, signed by me, and is now being implemented by an elected superintendent of public instruction. It is not a new or untested idea. It is being adopted in more than a dozen states, where it is supported by Democrat and Republican lawmakers. The full-fledged effort by some to sabotage the goals of the A-F system has created the kind of distasteful and unproductive atmosphere of obstruction and gridlock we are used to seeing in Washington, D.C. It has turned a conversation about improving our schools into a partisan spectacle that is not becoming of Oklahoma. Worst of all, it has taken the focus off our children and what we can do to help them. Let's put a stop to that. This week, we will finally be given a system that allows us to accurately evaluate the quality of our schools. We know the results will be mixed. Oklahoma has good schools. Like all states, it has schools that are desperately in need of help. Let's work together — as educators, lawmakers, parents and citizens — to deliver that help, to improve education and to take care of our kids. The Anti-Bullying Collaboration of Oklahoma City is holding a Town Hall meeting to discuss bullying prevention from From 7 to 8:30 p.m., Tuesday, Oct. 29, 2013, at Southern Oaks Library, 6900 S Walker Ave. Educators, parents and guardians and members of the public are invited to attend. The purpose of the town hall is to discuss new legislation -- the School Safety and Bullying Prevention Act, Oklahoma House Bill 1661. The town hall additionally will highlight the training for administrators and school staff required by this legislation and detail several bullying prevention initiatives. Local experts will answer questions. Expert panelists are Melissa White, Executive Director of Counseling and ACE with the Oklahoma State Department of Education; Joy Hermansen, Coordinator/Prevention Specialist with the Oklahoma State Department of Education; Tracy Alvarez, Federal Programs Coordinator for Climate, Truancy and Intervention with Oklahoma City Public Schools; Steve Hahn, Prevention and Safety Chair for the Oklahoma PTA; Rachel Yates, with HeartLine; and Gayla Westbrook, Family Builders. Jeff George, an anchor from Fox 25 will moderate the panel discussion. Please register for the event at okcbullyingtownhall.eventbright.com or at Facebook.com/OKPTA. The town hall is hosted by collaboration partners: the State Department of Education, Oklahoma City Public Schools, Oklahoma PTA, and others. Crucial topics for students with disabilities and guidance for special education directors and teachers were provided this week by Dr. Melody Musgrove, Director of the Office of Special Education Programs (OSEP) for the U.S. Department of Education. Musgrove was the keynote speaker at the Oklahoma Directors of Special Services (ODSS) Fall Conference held in Norman on October 23-24. Musgrove’s call to kindle high expectations of and improve outcomes for all children stirred the passions of enthusiastic leaders in special education. Dr. Rene Axtell, Oklahoma’s Assistant State Superintendent of Special Education, praised Musgrove’s commitment and leadership toward Oklahoma’s educators. “Our State is so fortunate that Dr. Musgrove could come in person to share her inspiration and guidance with us today. She is a frontrunner for excellence in special education,” Axtell said. Musgrove was invited to speak by the Oklahoma State Department of Education (OSDE), working in collaboration with the Special Education Services (SES) and the Cooperative Council for Oklahoma School Administration (CCOSA), and Oklahoma Directors of Special Services (ODSS). The White House selected Musgrove as director of the OSEP in August 2010. OSEP is responsible for providing leadership to the early intervention and educational agencies serving the nation’s 6.7 million infants, toddlers, children and youth under the Individuals with Disabilities Education Act (IDEA). Musgrove’s career is distinguished by her commitment to collaborative frameworks that find creative solutions to difficult educational problems. She is focused on improving outcomes for all children, and experienced in using data to influence systemic improvement decisions. Since becoming director, Musgrove has been leading OSEP staff through a thoughtful process, in collaboration with stakeholder groups, to change the way OSEP works and to shift, as Secretary Arne Duncan has said, “from a compliance-driven bureaucracy to an engine of innovation” that is focused on improving results for children and families. OKLAHOMA CITY (Oct. 29, 2013) – The Oklahoma State Board of Education today approved a $2.5 billion fiscal year 2015 budget request for the Oklahoma State Department of Education (OSDE). Representing a $174.9 million increase over last year, the proposal will go before the state Legislature when it convenes in February. The budget requests an $81.4 million increase in financial support for schools, part of $1.9 billion overall in the State Aid Funding Formula. State Superintendent of Public Instruction Janet Barresi said the budget addresses a number of academic and financial challenges facing Oklahoma schools. To that end, the budget request sets aside 20 percent of the new funds – about $16 million — to reward schools that show academic improvement among a large student population on free and reduced lunches. Barresi urged district superintendents to use part of the new funds to increase teacher pay. “There is no question that inadequate teacher salaries are a big reason we lose many of our best and brightest educators to other states,” she said. The funding request includes $593.5 million for the activities budget, an $86.4 million increase over FY 2014. That figure reflects how Oklahoma schools are continuing their shift toward stronger academic standards and heightened expectations, providing $69 million for the implementation of various reforms. That amounts to a $26 million increase in reform spending over last year. $200,000 for charter school incentives. In the wake of the Affordable Care Act, health insurance costs are taking a significant portion of the would-be budget. “As is proving to be the case throughout the nation, the consequences of Obamacare are severe and painful. Millions of dollars that could have gone to the classroom instead must be eaten up in insurance costs,” Barresi said. OSDE is requesting a flexible benefit allowance budget of $426.9 million in FY 2015, a $59 million increase over last year. More costly premiums and an increase of fulltime, insured school employees are responsible for the requested increase. Statement from OKDHS -- The Oklahoma Department of Human Services appreciates the Co-Neutrals’ recognition of the progress our agency has made during the first year of implementing the Pinnacle Plan. This includes the reorganization of Child Welfare Services to achieve sustained progress, greater accountability and transparency, as well as more effective and efficient communication and performance. The new management team assembled within Child Welfare Services ensures new and current workers will have the necessary leadership and supervisory guidance to carry out their child welfare responsibilities. Obviously, DHS needs a sufficient number of active foster homes to care for the children coming into state care. To recruit homes that are never used would be a waste of resources. DHS committed in the Pinnacle Plan to build a pool of homes and create a matching process whereby children would be placed with the best foster home and avoid multiple moves. To have a successful matching process, DHS will need a wide variety of homes across the state in which to place children together with their siblings, in their home communities and in their same schools. In a statewide system such as this, it stands to reason that some of the homes may not have children placed in them for a period of time. We understand further discussion of the metrics in this data set is warranted in light of these circumstances and additional consideration given to the goal of a statewide matching process. We are committed to continuing our work with the co-neutrals to further refine data collections and definitions, and to ensure accuracy and consistency in our data reporting. We appreciate the expertise and the guidance offered by the co-neutrals as we work together to develop the measurements of our progress. Manageable caseloads for child welfare staff. The Cooperative Council of Oklahoma School Administrators (CCOSA) this week released a new report critical of Oklahoma’s A-F school grading system. The report complains that the school grades are based on student achievement as measured by standardized tests. In a memo to its members, CCOSA refers to a similar report issued in January which claimed that basing school grades on student achievement, student growth, and whole school performance is flawed. The reports are part of an effort by CCOSA to discredit the new A-F school grading system. The basis for the new school grading system is similar to that of the Academic Performance Index (API), the previous school grading system. The API used a 0-1500 scale that few people understood. Dr. Robert Sommers, Secretary of Education and Workforce Development, issued a statement critical of the assumptions used in crafting the report. He expressed alarm at the contention that schools have little influence on student success. “You suggest that no more than 30 percent of the variation in student achievement is due to a school and its teachers,” said Sommers. “We reject this notion outright. We think high quality teachers and high quality schools, such as we have in Oklahoma, have significantly higher impact. “You also suggest that to be valid, any form of performance measurement should include school processes and conditions. We strongly disagree. Results come from process decisions. There are other issues with the report according to Sommers’ statement. “The analysis only includes 63 urban schools and 15,000 kids, which is not representative of the over 1,800 schools and 655,000 students in Oklahoma. “Second the entire analysis is based on the number of questions answered correctly on the Oklahoma School Testing Program (OSTP). OSTP is not scored based on percent of items correct, it is based on scoring that does not yield the same interpretation as a percent correct method because it does not equate one item with one point. Therefore the very premise of the report is flawed. “We value our schools and our teachers and the critical role they play in student learning and achievement. “We know of schools and teachers who have beaten the odds and have helped students learn in spite of external hardships. These schools and teachers disprove your assumptions. Conditions such as poverty and minority status are factors that should not be ignored, but neither should they be an excuse for having low expectations for the students most in need. Certainly time and time again we have seen such obstacles overcome with great success. OKLAHOMA CITY – Governor Mary Fallin today appointed Daniel Keating to the State Board of Education. Keating will represent the First Congressional District and replace Joy Hofmeister, who stepped down from the board. The appointment requires Senate confirmation. 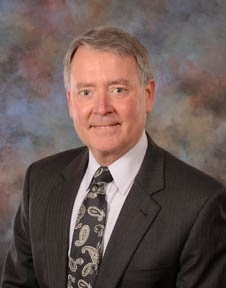 Keating is currently the president of Summit Consolidated Group, a national brokerage and insurance company with offices in Tulsa, Oklahoma City and several other states. Previously, he served as president of Valley National Bank in Tulsa. He currently serves on its board of directors. Fallin previously appointed Keating to the Tulsa Community College Board of Regents. Keating resigned from his post in order to serve on the State Board of Education. In 2002, President Bush appointed Keating to the Board of Advisors on Tribal Colleges and Universities. He is also a member of Oklahoma Wesleyan University Foundation’s board of directors. He previously served as an adjutant professor at Oral Roberts University, teaching a class on banking. Keating serves on the board of directors of the State Chamber of Oklahoma. He is also a past finance committee chairman of the Oklahoma Historical Society Board and a current board member of the Salvation Army. He was a member of the Oklahoma Military Advisory Commission and has served on the boards of Junior Achievement, Tulsa Ballet Theater, the Oklahoma Mental Health Association, Easter Seal Society, Metropolitan Utility Authority and Utility Board, the Metropolitan Chamber of Commerce, the Oklahoma Bankers Association Insurance Company and Hillcrest Medical Center Foundation. Keating served in Vietnam with the United States Marine Corps. He and his wife Kathy have two sons. He is the brother of former Oklahoma Governor Frank Keating. OKLAHOMA CITY – A new legal challenge to the Lindsey Nicole Henry Scholarships for Students with Disabilities Program Act filed yesterday represents “ideological hostility to the rights of parents to direct the education of their children,” according to the author of the bill that created the scholarships. State Rep. Jason Nelson said the program helps children with special needs attend a private school of their choice by providing state-funded scholarships. It has been in place for three years. A lawsuit filed by two Tulsa-area school districts was tossed out by the Oklahoma Supreme Court in 2012 on the grounds that schools cannot sue on behalf of taxpayers. The new lawsuit targets the state superintendent, the state department of education and the state board of education. The Obama Administration filed a lawsuit against a similar law in Louisiana this year. Nelson said there are two things about the lawsuit that stand out to him. “First and most importantly, not one of the plaintiffs has a child with special needs in the public school system where the school is failing to meet the needs of their child,” Nelson said. “None of them are facing the very real circumstances faced by parents of more than 200 children who use the Henry scholarship program because the needs of their children were not being met. “Second, none of the plaintiffs in this case have demonstrated any interest or willingness to address the legitimate concerns expressed about challenges in public schools faced by parents of the students who are currently using the Lindsey Henry Scholarship. “There’s a fundamental disagreement here. Children do not exist to fund the institutions. The institutions exist to support and educate the children and when that doesn't happen, regardless of the reason, we have a moral obligation to do whatever is necessary to ensure those children get the education they need and that the taxpayers are paying for, regardless of where they receive that education. Nelson noted that the lead plaintiff is employed by Oral Roberts University, which was allocated more than $380,000 in state-funded scholarships through the Oklahoma Tuition Equalization Grant program, or OTEG, for the current academic year. Nelson said he looks forward to working with state Superintendent Janet Barresi, Attorney General Scott Pruitt, the state Board of Education, parents and other supporters to vigorously defend the law.